Can The Pieces be Put Together for Playability? Texture maps have been found of Banjo-Kazooie, among other artifacts, in the PC edition of Sonic & Sega All-Stars Racing. The discovery was made by Sonic Retro tech member Polygon Jim and may affirm some speculation that a single console game was produced and then dispersed among the four home systems–PS3, XBOX360, Wii, and PC. It may also affirm speculation that, with some hacking knowledge, what were meant to be console specific characters can be played across all platforms. The find included a dump of the Rare duo’s texture maps, which we have in the gallery below. Polygon Jim also affirmed elements of Microsoft’s Avatar characters were “left” in the PC version, as were files for Nintendo’s Mii. “I’m going to try and get them to load sometime when I can get the game to run again,” the researcher said. Doing so would be a nice technical achievement, but it may also damage the value of ASR’s exclusives with regard to the XBOX360 and Wii editions. 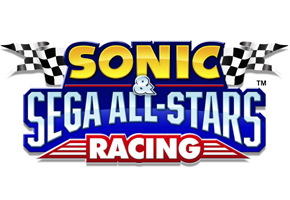 Though the game has been out for almost two months, that could still have broader ramifications between Sega, Nintendo, and Microsoft. That’s to be determined–first, we have to see if the models can load on the PC version. We’ll update you if and when that happens. New Sega Hardware On The Way?